The Wolves this year have a very serious need for depth, particularly at shooting guard/small forward. And they are in luck, it would seem, because of how this week's NBA draft shapes up. ESPN had a marathon conference call Monday with front office insider Bobby Marks and scouting analyst Mike Schmitz in preparation for Thursday’s NBA Draft. A lot of what they were asked pertained to specific players, but some of their comments also spoke to some general truths — at least as both men see them — about the players available this year. Of particular interest locally, of course, is what the Timberwolves might do with the No. 20 overall pick. While every team would love to hit a home run every time they call a player’s name, the more likely scenario with that type of selection is trying to at least find a player with a high floor — that is, a player who should provide valuable minutes but might not necessarily have the ceiling to be a potential star. Sure, there are examples of players drafted that low (or lower) who have emerged as forces (Rudy Gobert, Clint Capela and Kyle Kuzma were all taken in the 20s in the last five drafts), but a more realistic and efficient model is the one espoused by the Spurs (who are used to drafting in the 20s, unlike the Wolves): find low-cost supporting players who fit a specific need. The Wolves this year have a very serious need for depth, particularly at shooting guard/small forward. And they are in luck, it would seem, because this year’s draft seems to be the intersection of that need and that type of player in about the spot they will pick. Marks on Monday’s call talked about breaking the draft into tiers, and what someone drafting on the fringe of the lottery and beyond might be able to get. The Ringer’s excellent mock draft/breakdown illustrates just that, with a big clump of shooting guards and small forwards projected to go at and around No. 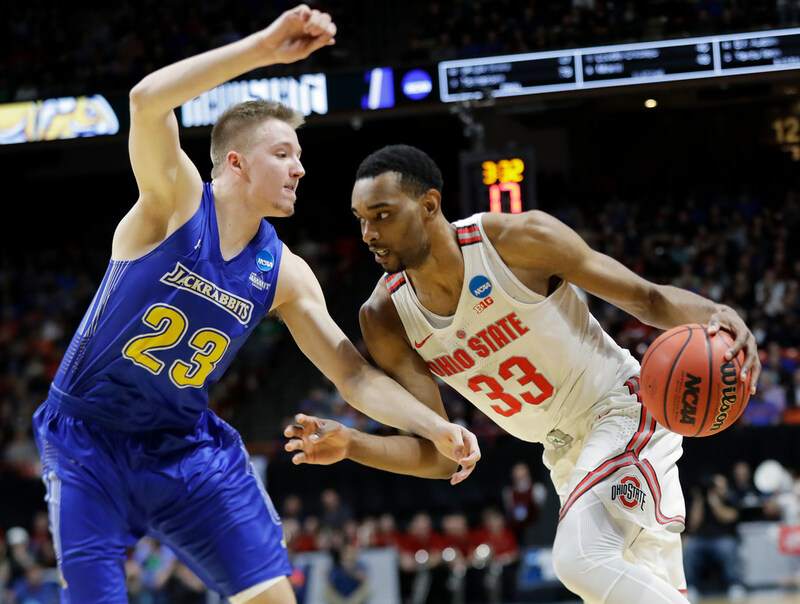 20 (they have Ohio State’s Keita Bates-Diop, who figures to be mostly a small forward in the NBA, going to the Wolves. He’s pictured above). Minnesota paid Jamal Crawford about $4.5 million last season to be the first shooter off the bench, and he opted out of his contract to become a free agent. If the Wolves want to upgrade from Crawford, they could spend that much (or probably more) … or they can find a much cheaper option in the draft who should get the job done and theoretically has more upside. Unless the Wolves can get some sort of salary relief in a trade (by, say, attaching Gorgui Dieng and his three remaining years of roughly $16 million per season to a deal) while also getting some shooting in return, their best move is almost certainly to find whatever wing they like the best and take him. Then it’s up to Tom Thibodeau the coach to take Thibodeau the POBO’s young acquisition and use him. What were the Capitals thinking with Barry Trotz?